Sunvest Minerals Corp. (TSX: V.SSS, SRKZF, Forum) said Wednesday it is mobilizing crews to commence a drill program on the Evening Star Property, located 16 kilometres southeast of Hawthorne, Nevada. The Evening Star property comprises 43 claims covering 820 acres (323 hectares) in the prolific Walker Lane Structure Zone of the west-central part of the state. The property is prospective for copper, gold, silver and lead mineralization in favourable volcanic, intrusive and limestone sedimentary host rock units. The Evening Star property is located approximately 3.2 kilometres northeast of Newrange Gold Corp.’s [NRG-TSXV] recent drill activity on the Merritt zone and Merritt decline area of the Pamlico property. In June 2017, Sunvest completed a modest drill program of 222.3 metres in two holes on the Evening Star property. 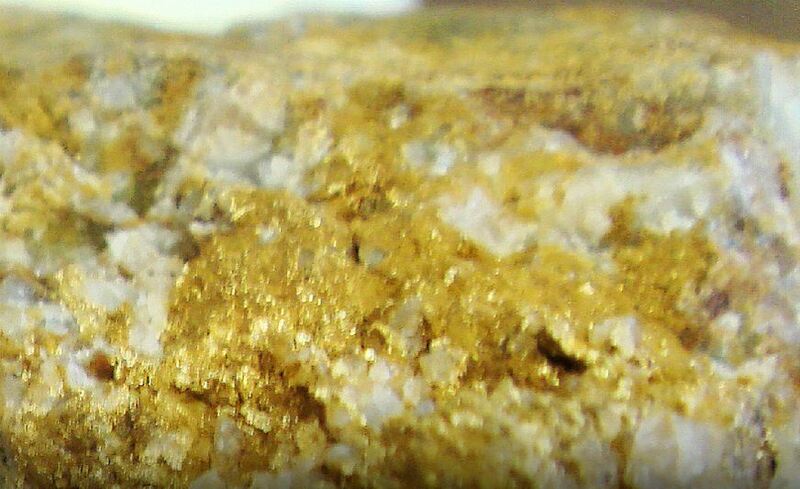 Both holes intersected copper mineralization, with hole ES17-02 returning 17.5 feet (5.3 metres) averaging 0.84 g/t gold, 105.3 g/t silver, 5.09% copper, 0.09% lead, and 0.86% zinc. The current proposed drill program will consist of 650 to 1,000 metres of diamond drilling in three to four holes, with a primary focus on an area where a single 1970 drill hole returned significant intercepts of 6.1 metres, averaging 408 grams per tonne silver (11.88 ounces per ton silver), 14.88% lead, 4.7% zinc, and 0.16% copper from a depth of 48.3 metres, and a second intercept of 18.6 metres, averaging 277.8 g/t silver (8.10 ounces per ton silver), 9.73% lead, 5.36% zinc, and 0.27% copper. “With a better understanding of the geology and various styles of mineralization, we are eager to commence drilling on the target discovered by the 1970 drill hole E-D-01. Sunvest’s Evening Star property represents a strategic, significant land position in the very active Pamlico mining district,” said Sunvest CEO Mike England. Wednesday’s announcement comes after Sunvest recently released additional assay results from sampling of historic drill core from its Clone project located near Stewart in the Golden Triangle region of northwestern British Columbia. In a February 8, 2018, news release, the company said core assays returned 30.3 grams gold per tonne over four metres and confirm the existence of multiple zones at the Clone property, which covers 4,621 hectares and lies 16 kilometres southwest of IDM Mining Ltd.’s [IDM-TSXV, IDMMF-OTCQB] development stage Red Mountain gold project. Sunvest was also in the news when it announced the signing of a definitive agreement with an arms length vendor to acquire a 100% interest in the Parrott Lake Property. Parrott Lake is contiguous and flanks the north and west areas of the Silver Queen Property, owned by New Nadina Explorations Ltd. (TSX: V.NNA, Forum). The Silver Queen property is located on the all season maintained road to the Huckleberry mine at Owen Lake, 43 kilometres south of Houston, British Columbia. Sunvest shares were unchanged at 9.5 cents on Wednesday. The 52-week range is 15 cents and 8 cents.